We hear that term a LOT don't we? There are many books written on the topic, many sermons given, even movies made. What makes the story of the prodigal son so very popular? Simply put, because it is a story that has not changed throughout the years. Oh sure, the details may have changed- the circumstances and battles keeping the son away might have evolved... but the story itself- a child leaving their father to do their own thing, hitting their lowest low and coming back to find their father waiting for them with open arms- that is a story that many are living still today. It is a common story, because people can relate. They get it. They've been there. If you're looking for a great movie night movie, this is certainly going to be worth the watch. While the story might not be anything new, it is one that needs to be told. On some level, it's likely one that many of us can relate to. Perhaps we have a prodigal child, perhaps we've been one or perhaps we've seen this story play out in the lives of those around us. And this story of Sean- striking out to make his own life- is one that is beautifully told. As a writer, I very much appreciate this idea that our lives are a story still being told. And the great thing about the story of the prodigal son? Like all my favorite stories, there is a happy ending. 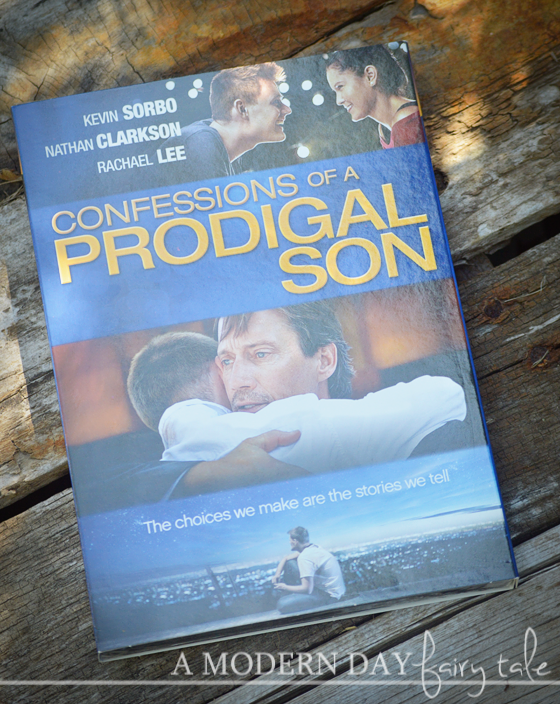 If you need an uplifting selection for your movie night, be sure to add Confessions of a Prodigal Son to your list. It is available to purchase now at Family Christian. I love the religious plaques and wall decor they have!! So great to incorporate God into your decor!! They are all super pretty and very tasteful! !